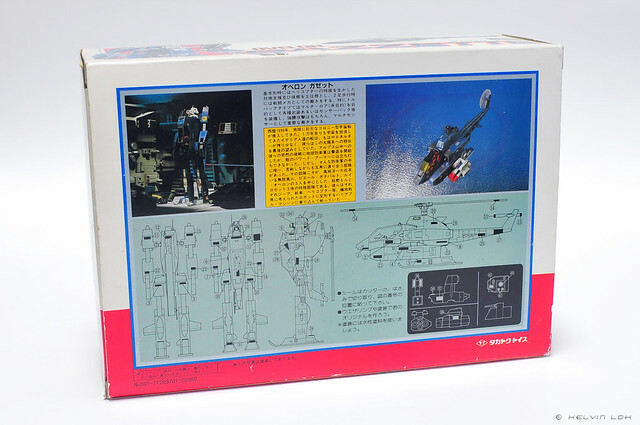 Side view of the box with 'vintage' price tag, haha! Styrofoam insert. Unfortunately, it is missing 2 weapons. 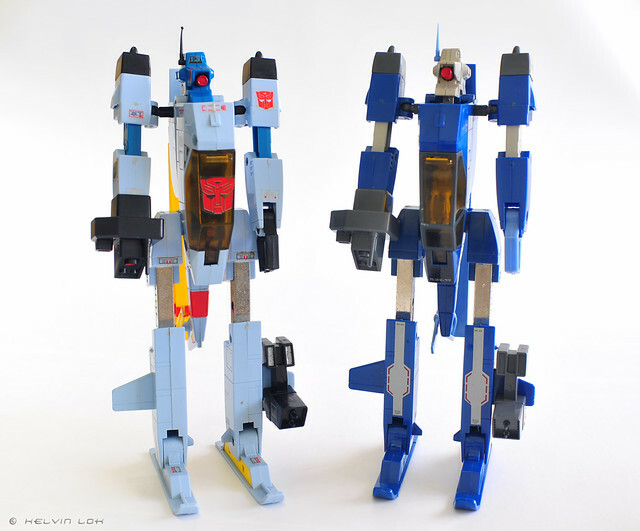 I have a complete Transformers G1 Whirl, so can take from it. The colour is different though. The contents, including unused sticker sheet! 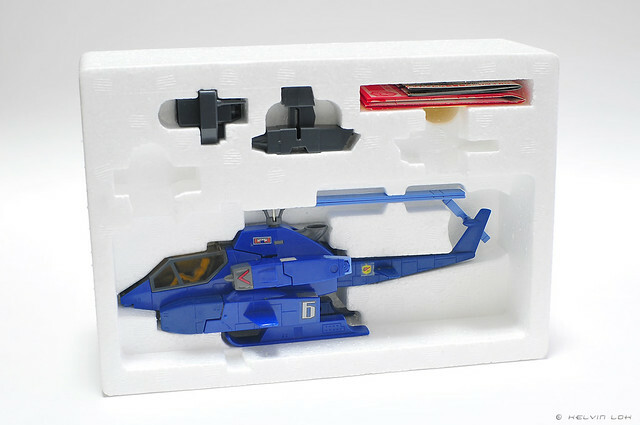 Transformers fans will recognise this mold was used as G1 Whirl. 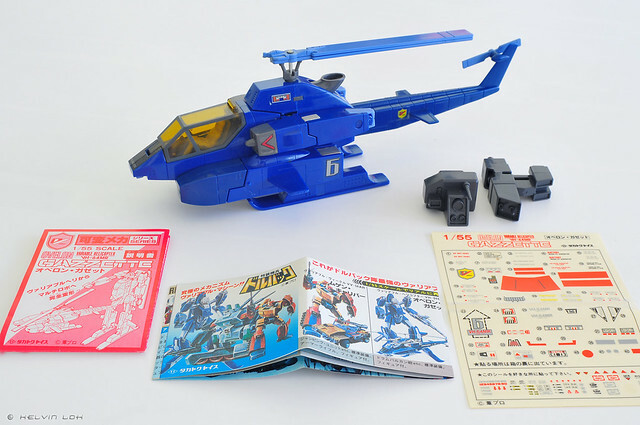 Their helicopter alt mode looks like a mashup of an AH-64 Apache and AH-1 Cobra. 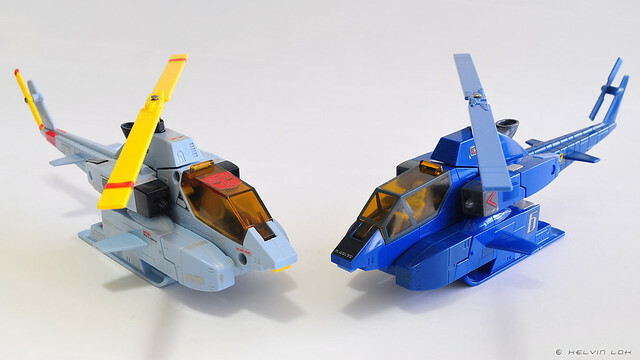 I like their helicopter mode because I grew up watching TV series like Blue Thunder and Airwolf. 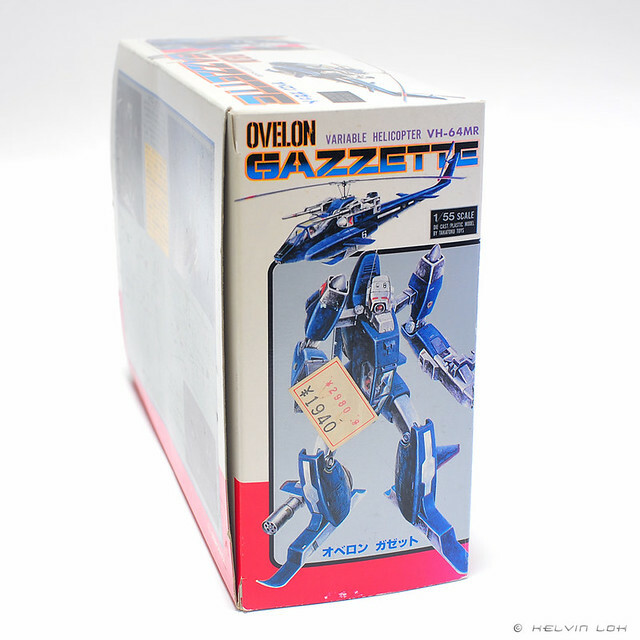 But even the most die-hard Oberon Gazzette/G1 Whirl fan has to admit the bot mode is crap! 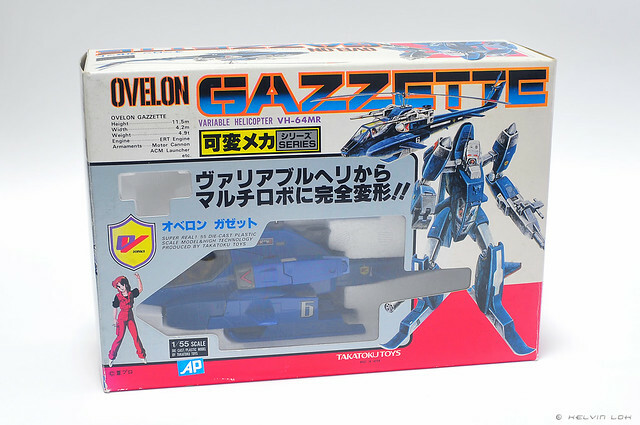 Another famous vehicle from the Special Armored Battalion Dorvack anime is Mugen Calibur. I'll do a post about it next!